Pelkesi is Indonesian Christian Association for Health Services (ICAHS), established on September 17, 1983, in Balige, North Sumatera, Indonesia, on the 3rd Summit of the Leader of Christian Healthcare Institution. The 1st summit was in Tomohon, North Sulawesi, on 1978, followed by the 2nd summit in Jakarta, on 1980. 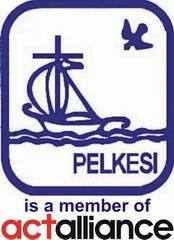 Pelkesi is an association forum of Christian organizations and individuals who works in health services and health education area, aimed for the realization of the Holy Duty of the Church. The establishment of Pelkesi is purposed to persuade Indonesia's churches to develop holistic health services that also includes physical, social, economical and spiritual services, side by side with facilitating the developing of cooperation among health-based Christian Services Organization.